Trimble’s LOADRITE 360 is a connected quarry solution. "Generally, information – product and tonnage to be loaded – is passed either on a two-way radio to the loader operator, or shouted across from the truck driver to the loader," Thomas described. "These instructions can be rounded or estimated, and the entry time of the truck is unknown so it's difficult to know whose turn it is." 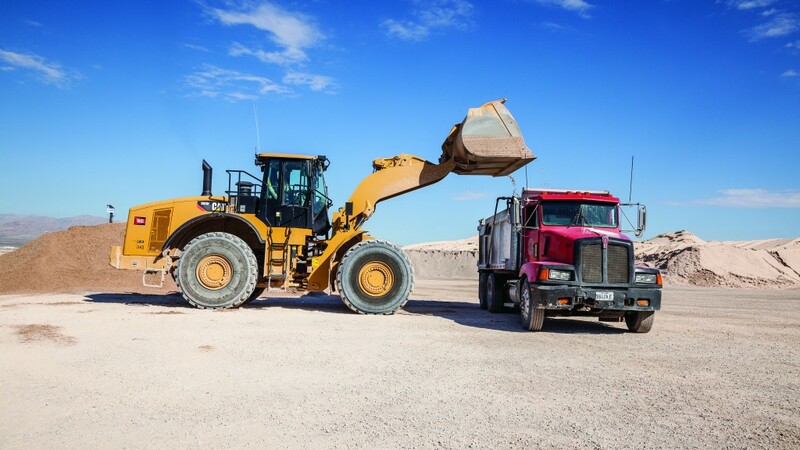 LOADRITE scale systems can be incorporated onto wheel loaders and excavators. "Today, most sites are simply receiving trucks as they come in, being reactive. The improvement can come from the capability to anticipate truck visits and link those sales to the production site," he said. "We can install telemetry onto trucks that are moving around the quarry, and when they come into a perimeter – let's say 10 kilometres from the quarry – we can automatically notify the quarry's point-of-sale software. If the orders have been entered the day before, these loadout instructions can be pushed to the loader directly just as the truck drives in."